(11-06-2013, 03:03 AM)Brittney Wrote: Just curious about peoples thoughts on the power regaled Sean in a pally team, basically just replacing PKoF. Would Skuld or Sean be better? PR active with Daji is awesome, so I think it's cool. With Daji ally I mean. If it's PKoE/Hertz+PKoE+Hertz, Skuld sounds better to me. Even though I don't have PKoE he's still my favorite paladin, as he's carried my rainbow team up till the 5th seal islands before making the switch to dark mono (still use the rainbow sometimes for fun). (11-03-2013, 11:53 PM)Yui! Wrote: Is there some sort of special animation when crit occurs? Yes, the card appears to "jump". It shows it's base damage when finishing the combo and the card damage suddenly multiplies (just as if you'd use a +attack lead/ally card). Even with +attack lead/ally you can easily see the crit by unusual high damage. 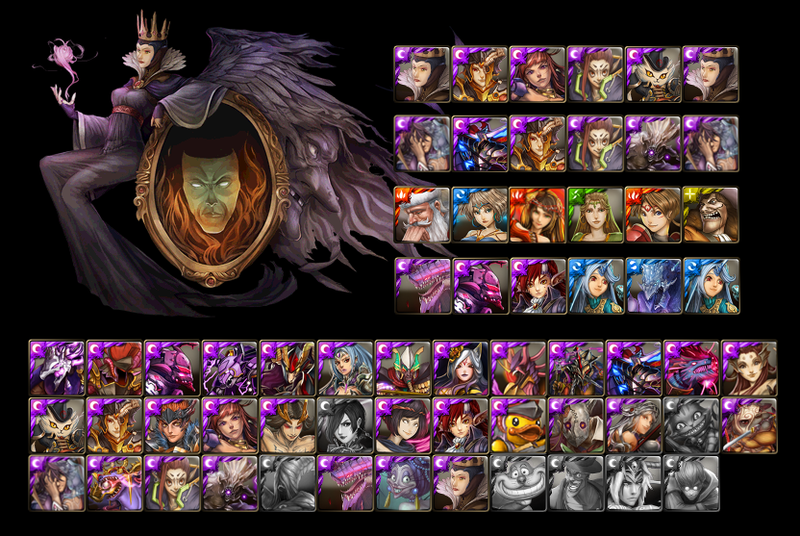 Ally in use: Fox Queen Daji (99). Haha well, I guess you're right. I make the best use of Daji and Skuld's actives when I plan it first. By "plan" I mean counting how many runestones each element has, so that I can figure if I can make two 3-runestones or one 4-runestones. But most of the time I'm lazy to plan things so I just improvise it. Can anyone teach me how to level up pala cd skills faster? I normally just bring them to battle and it started to slow down after cd skill lvl6. (11-24-2013, 11:58 AM)mysux Wrote: Can anyone teach me how to level up pala cd skills faster? I normally just bring them to battle and it started to slow down after cd skill lvl6. Their skills are pretty unique to themselves. The only way to level them is to bring them to battle. If you have multiple Paladins: you can reduce the # of rounds that you need to battle to level up. Thing is, in order to level up your skill, your monster needs to accumulate a certain number of rounds. These rounds can be gained by battling, or eating other monsters of the same skill. If your main monster eats a monster with 10 rounds accumulated, your monster will gain 10 rounds. There is also a luck factor involved where eating a monster of the same skill will give a chance to level up your skill. PSA: PR Dragons are the new mainstream! Have you converted yet? No? Shame on you. Go and PR your Dagon/Faugn and set that as your ally!! Why? Awesome recovery! Awesome endurance! Hearts do damage?!? OMG?!? No seriously change. Yes I'm looking at you 30 Ursula allies of mine. Every card slows down after level 6, get used to it mate! For skill levelling you can farm paladins with your pala team and feed them to your main paladins but...it'll be boring as hell if you ask me. Or use Harpy when you get one, usually recommended to use after level 7 though. But I wouldn't recommend anyone to spend Harpies on Paladins. There are much more important skills than theirs. Sorry Paladin mates! It's just a grind game, I don't recommend you feed any harpies to paladins it'd be such a waste, you could farm multiple paladins and canibalism shall grant you high CD level.